LiveTrends Design Group announces the expansion of its international footprint by entering the India retail market. The new business entity was formed as a joint venture with local partners, under the name of LiveTrends India LLP. 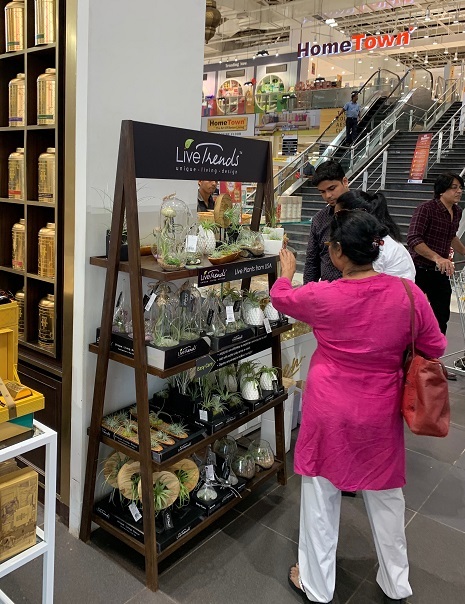 The main office of operations for LiveTrends India is in the city of Mumbai.The company has already built three production and assembly greenhouses in the cities of Mumbai, Puna and Deli. Currently, the new company already counts 50 full time people and it has plans to reach 800 employees by mid-2019. The LiveTrends Brand will be marketed in hundreds of premium shopping malls, in the 7 biggest cities in India. Even though the designs are the same as in the USA, the brand positioning is more luxurious and premium. LiveTrends Design Group was created in the USA 5 years ago, and its currently being distributed at over 16,000 retail stores in the USA and Canada. The mission of LiveTrends is to create a brand new industry that delivers joy to people’s spaces by fusing nature, fashion and art into unique and trendy décor products. The LiveTrends Brand bridges what’s trending around the world with product that is handcrafted, long-lasting and always changing. Currently, LiveTrends designs over 400 unique collections per year, and the idea with the international launches is to utilize the value of its intellectual property and apply its design, marketing assembly and global sourcing know-how to many foreign countries. 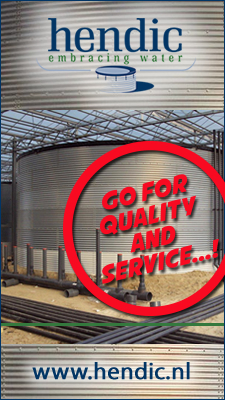 The India expansion is the company’s first launch outside North America. “The reasons why decided to go with India are quite numerous: the market there is massive (over 1.2 billion people), the retail knowledge of our local partners is quite extensive, and the Indian consumers are hungry for living décor. 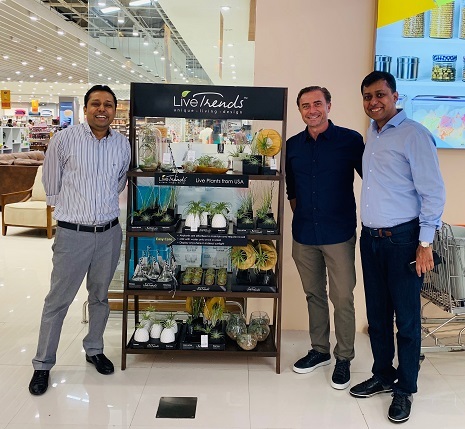 By moving quickly and covering all big cities with distribution, we expect to become one of the best-known brands in the Indian home décor industry.”, says LiveTrends founder and CEO, Bisser Georgiev. Before the launch, the LiveTrends model was tested in over 50 shopping centers for over six months and the results were quite impressive. The demand for living products is quite extraordinary, and the LiveTrends Brand apparently has universal appeal globally. LiveTrends India plans to quickly build greenhouse operations and assembly centers in the 7 most populous centers of India, by the end of 2019.